﻿ Rejuven won the 3rd place in 2018 SATOL (China) Roadshow_News_Rejuven Dermaceutical Co., Ltd. 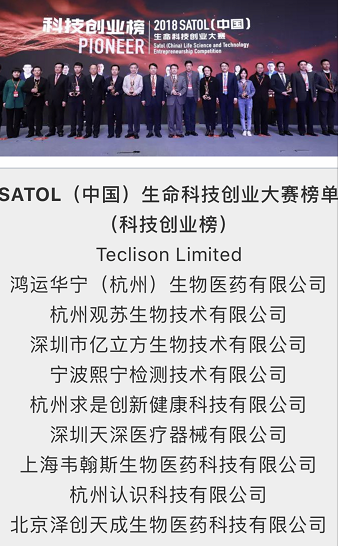 The Second SATOL (China) Global Conference on Life Sciences and Technology was held in Hangzhou on December 8, attracting more than 30 academy members and 1000 representatives from medical research, technology development and biopharma industries. A total of 367 biotechnology companies competed in a roadshow contest, as part of the conference themes, evaluated by a team of clinical experts, venture investors and industry leaders. Rejuven Dermaceutical exhibited its novel fat-remodeling drug development and won the 3rd place in the Startup Business Group in the final round of oral defense.